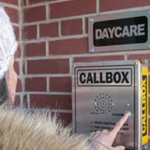 When customers are looking to enhance the safety and security of their facility, they depend on Ritron callboxes. Here are just a few cases where our callboxes have been put to use solving problems and adding value. With a callbox installed at the back door, parents have a simple way of signaling their arrival. With the clear communication provided by the callbox to the two-way radios carried by school staff, service is fast. This is also much better than the prior notification method: Parents would bang on the locked doors and windows to get the teacher’s attention. Read more about this solution in our customer impact story, “Radio Callbox Enhances Security For After-School Program. Without access to communication, any accident had the potential to incur a delay in getting needed care to the warehouse floor. Callboxes were placed in safety zones throughout the plant. These Callboxes allow any employee to call for help by communicating directly with existing employee radios. With its easy to see bright green case, the callbox is always available when called upon to contact the existing radio network. 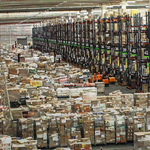 Read more in our story on this foodservice distribution warehouse. 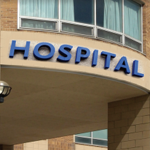 A hospital in Knoxville, Tennessee installed a two-way radio callbox system. The moment someone presses the push-to-talk button, several things happen simultaneously. All radio equipped security officers receive the distress call along with the location of the callbox, and a blue strobe light begins to flash. Learn more in our full story here. Radio callboxes were installed as a surefire way for students to communicate instantly with security when they returned to the outlying campus parking lots late at night. Read more in our case study here. What’s your success story? 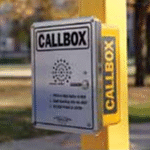 How have your customers used callboxes to enable a safer environment? Send us an email at sales_info@ritron.com and let us know.